A new generation of superbugs resistant to antibiotics could kill up to 80,000 Britons in a single outbreak, government research predicts. In the next 20 years, surgery could become too risky because of an increased risk of infection, while catching flu could have a ‘serious’ impact on individuals. 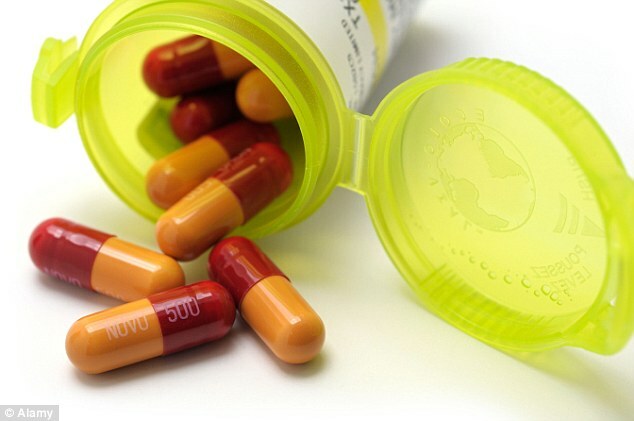 Figures issued by the Cabinet Office warn that previously effective drugs will become useless in the face of resistant bugs, causing a surge in the number of sufferers of illnesses such as tuberculosis and pneumonia. For the first time the annual National Risk Register of Civil Emergencies, which assesses the challenges posed by terrorism, natural disasters, disease and industrial strife, has included the dangers of antimicrobial resistance (AMR). The report says: ‘Without effective antibiotics, even minor surgery and routine operations could become high-risk procedures, leading to increased duration of illness and ultimately premature mortality. ‘Much of modern medicine, for example organ transplantation, bowel surgery and some cancer treatments, may become unsafe due to the risk of infection. ‘In addition, influenza pandemics would become more serious without effective treatments.